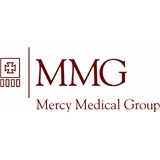 Mercy Works on Pulaski & 55th (Chicago) - Book Appointment Online! The Dr. Was ok. But this facility is gir work related injuries and drug tests , not primary Dr. IDont make an appointment it dint matter you will sit at least an hour waiting! !